Many foreigners who life or regularly travel Japan blog about their experiences. These blogs often are very personal and full of small treasures such as nice anecdotes, travel tips, interesting food and gadgets and much more. Black Tokyo – Black Tokyo was created to provide a voice and a network for Blacks living in Japan. BT also seeks to provide news on Japan and will address inaccurate or false information, stereotypes and other issues concerning Blacks in Japan. Kirainet – This is the blog of Hector Garcia who also is the author of the book “A geek in Japan”. Paul Hartrick dot com – Australian writing about this and that he observes in Japan. 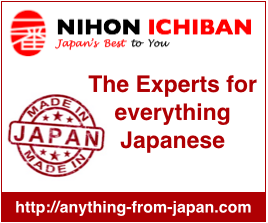 Michael John Grist – Micheal has a special interest in all kind of ruins and write about Japan in general and more specifically ruins in the real world as well as in fantasy worlds. JINGRISH – This is a funny blog that pics up funny Japanese-English on signs and advertisement in Japan. Japan it UP! 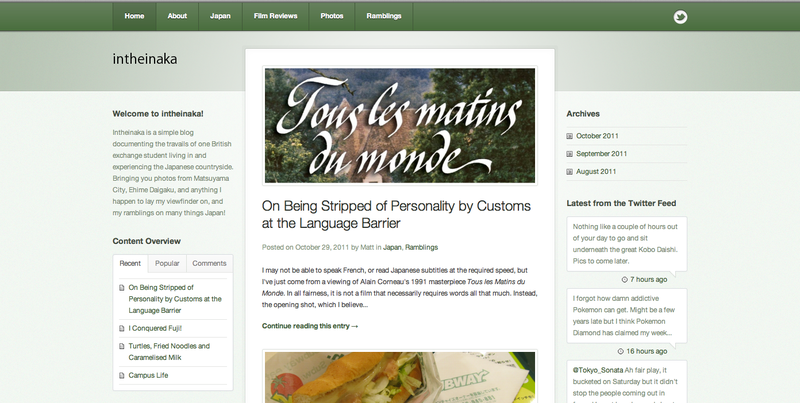 – is a blog of a american graduate student writing about his experiences and areas of interest in Japan. A Modern Girl – This blog is about living in Japan and writing from the viewpoint of a so-called modern girl (モダンガール) – independent and living in the city and being model consumer. Japan Blog for Foreigners – Japanese male student from Nagoya writing articles about Japan for foreigners. Pink Tentacle – provides stories about Japanese art and technology often around recent news or trends. Like Some Cat From Japan This Blog is written by a American girl in her twenties married and living in Kansai. While teaching English in Japan she also discovers the beauty of the Kansai region and share our thoughts about life in Japan, culture facts and so on. Learn more …. The Pink Spider Web – A Swedish young lady writing about her travel in Japan, food as well as Japanese music and concerts. Always a Gaijin – This Blog is about providing News, Information, Stories etc, that the writer found concerning, interesting and maybe comical living In Japan As A Gaijin. Adrienne in Japan – A blog about a Canadian girl living and working in Nagoya. Sakura Panda Tea Time This blog is about the life of an English man and a Chinese woman living and discovering Japan through fun and interesting videos. Hi, thanks for pointing this out. We already fixed it. Surprised to see 1000 Things About Japan in the white belt section, too. We just renewed the site and give up the belt concept. I want to make a correction as well. A year later and I see that this list hasn’t been updated. I hope somebody can find the time to update the list soon and finally take my blog out of the “white belts”. My blog has been around for several years and has not been abandoned ever. Just a good resource for anyone wanting extra/movie work in Japan. There are jobs that pop up with no experience required on http://www.alttokyo.com. Currently the acting/movie producers group have some extra work next month near Ueno. I’d like to add my own blog, “Texan in Tokyo” – I’ve been blogging for just over 2 years (as the white wife of a Japanese salaryman) and just passed 1,000,000 page views. Hope you like it. If you have got any comments or tips just post them on my blog and I will answer you.